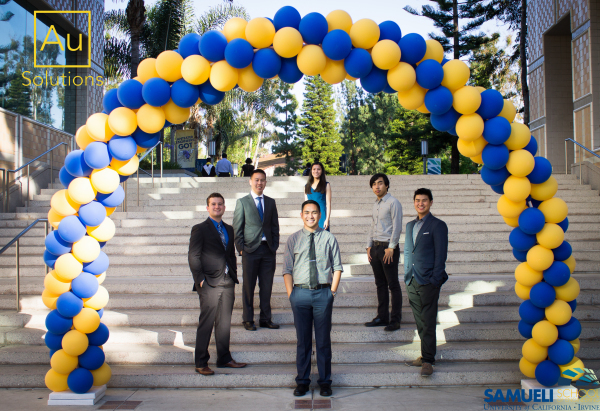 Our team consists of five former undergraduates of Henry Samueli School of Engineering - Biomedical Engineering program at University of California, Irvine. We are young and driven to change how trauma is treated. Kelsey Fung hold a Bachelor of Science Degree in Biomedical Engineering from the University of California, Irvine. 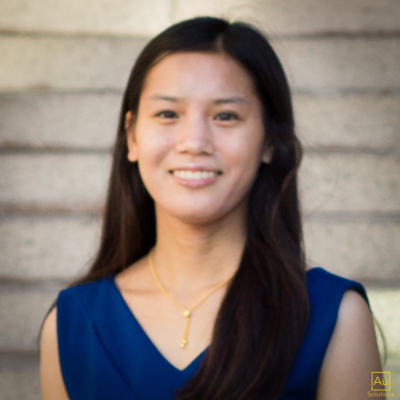 She has worked at various biomedical engineering research labs at UCI where she has developed assay protocols and trained in other individuals in those protocols. Kelsey is currently the Chief Executive Officer of Au Solutions. She focuses on managing the different departments of Au Solutions. Horacio holds a Bachelors of Science from the University of California, Irvine. He is currently enrolled in a graduate program at the University of Minnesota. 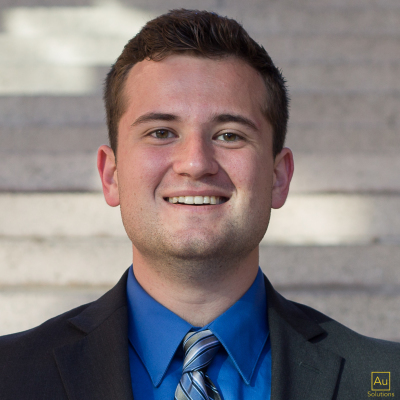 Horacio previously worked for Axonics Modulation Technologies and has five years of research experience in academic labs. Horacio is Au Solutions’ CFO and in charge of monitoring Au Solutions books and seeking funding for the company. 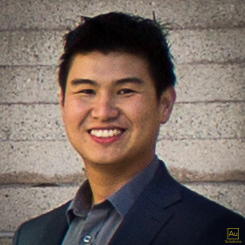 Danny holds a Bachelor of Science in Biomedical Engineering from the University of California, Irvine (UCI) with a minor in Biological Sciences. During his time at UCI he gained over 3 years of academic research experience in a Cardiovascular Modeling Laboratory. He is currently working at Edwards Lifesciences as a Research and Development Engineer supporting development and manufacturing of RESILIA™ tissue and tissue research. He also holds the position of Chief Technology Officer for Au Solutions, where he is able to guide and bring creative and innovative ideas during the design development stages of Au Solutions. Liam holds a Bachelor of Science in Biomedical Engineering from the University of California, Irvine with a minor in Materials Science Engineering. He is currently attending John Hopkins University to obtain his Ph.D. in Biomedical Engineering and is also the Chief Product Development Officer for Au Solutions. Liam also brings great ideas to the table and validates the feasibility of designs very well. He is involved in the design and development stages of the product as well as quality control of the product. 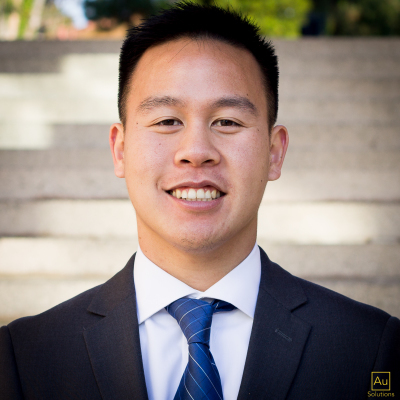 Anthony holds a Bachelor of Science in Biomedical Engineering from the University of California, Irvine with a minor in Materials Science Engineering. He is currently working at Edwards Lifesciences as a Research and Development Engineer for Heart Valve Therapy and is also the Chief Product Development Officer for Au Solutions. Anthony is also involved in the management of the business as Au Solutions’ vice president. He also had prior experience as a Design Engineer at Axonics Modulation Technologies. 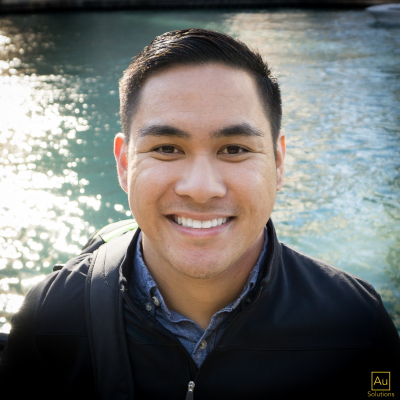 Anthony brings his inspiration and motivation to helping and improving people’s health through developing creative and effective designs for medical devices.